Free Expertly-Researched Stock Pick, Every Week! Your free reports will include a thorough fundamental analysis, key events to watch for, target prices, and more! 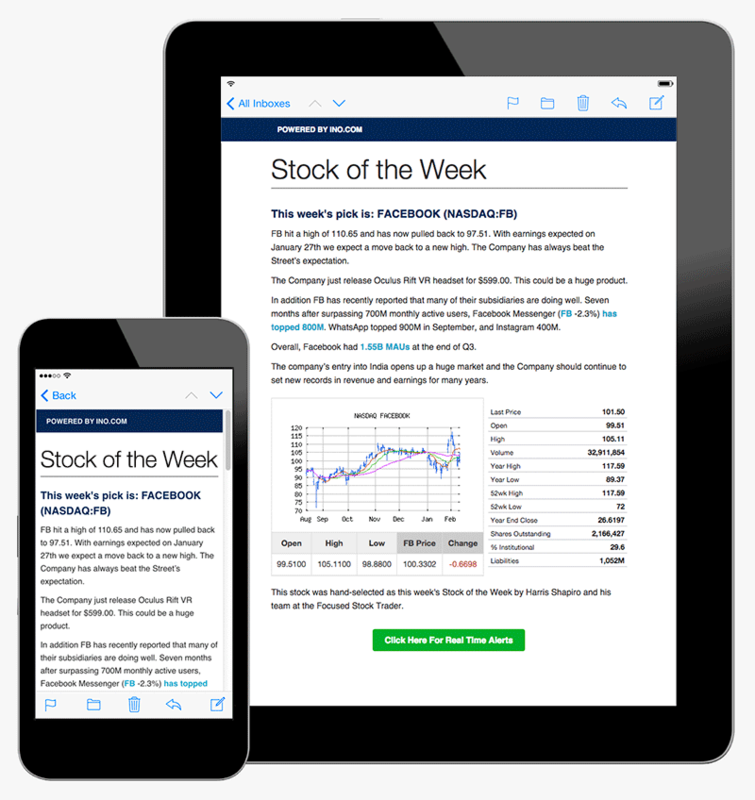 Every Tuesday, before the opening bell, our INO.com analyst will release their weekly stock pick and send it right to your inbox. Our experienced analyst carefully scours financial publications, balance sheets, press releases, charts, live events, and more to locate the most liquid, undervalued and overlooked stocks. These stock picks meet our analyst's strict requirements for growth and value, making them ideal stocks for virtually any portfolio!